search and add me if you want to compare how much you listen too! I used it for like 2 or 3 months and it is really interesting!! It is funny how far off I am if I would have to estimate what I listened to the most etc. Gonna add you if I'll use it again in the future. Yes, I receive my monthly analysis! I just added you and you have been really active this month!! 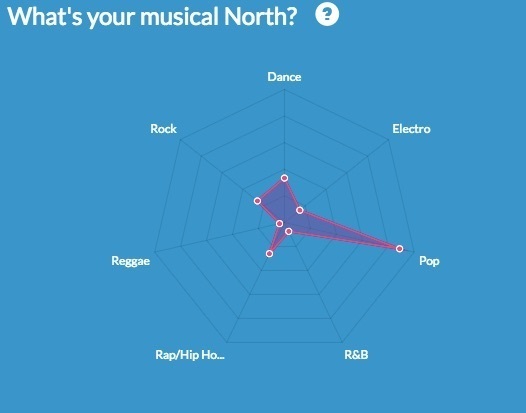 It is quite interesting to see "your musical North" apparently mine is more pop which I think is right, what is yours? Glad my brain discovered Deezer! 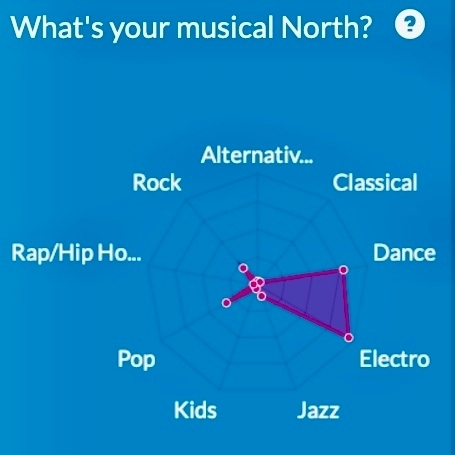 Isn't this how YT Music works...but they use a more detailed 3D "mapping" of musical tastes?